Roof Dormers: Should You Add One to Your Home? Home » Roof Dormers: Should You Add One to Your Home? Roof dormers, when properly done, can improve your home’s architectural design, extend its usable space and increase indoor natural lighting. 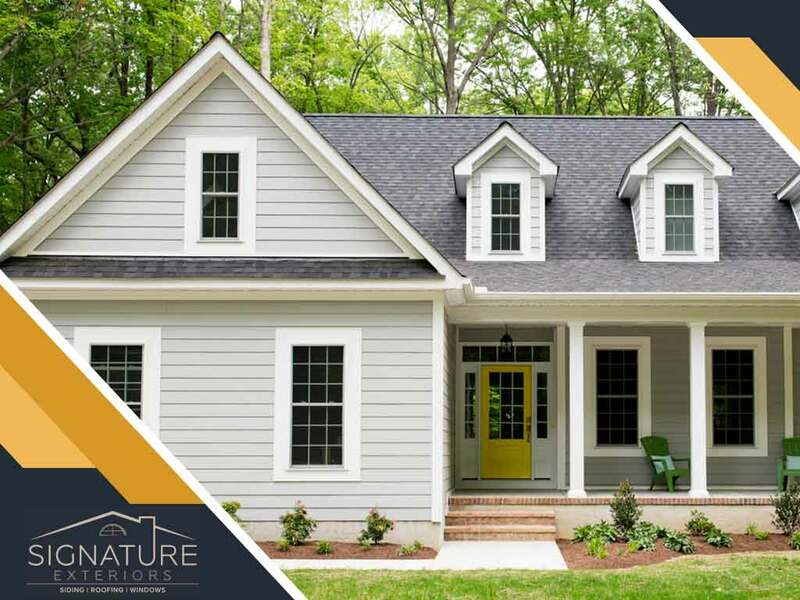 Signature Exteriors gives you a closer look at roof dormers and why you should consider adding one to your roofing system. Roof dormers are roofed windows that protrude from the roof. Unlike skylights, roof dormers feature conventional operable windows installed vertically. There are several types of roof dormers, including the familiar protruding type, which can have its own roofing style from barrier to hipped or gabled roof. Another popular type is the eyebrow dormer, which forms an eye-shaped protrusion. One of the main reasons homeowners choose roof dormers is its aesthetic value. You can take the simplest gable roofing and elevate the design by simply adding dormers. Some homeowners even choose to have “blind” dormers for this reason. Roof dormers are perfect if you are looking into extending your living area into the attic, or simply need additional natural lighting for your high-vaulted ceiling. It also improves indoor air circulation, as elevated windows allow warm air to be easily vented out. You can also have your dormers built to code, as an alternative emergency escape route. Before you decide on adding a dormer, you should know a few things. For instance, additional dormers mean there will be more areas that need flashing. Roof replacement will also be more complicated and could cost more. Certain dormer styles like eyebrow dormers will also limit the roofing materials to flexible types such as asphalt shingles and metal. During project planning, take the time to find a capable, licensed roofing contractor who has experience in building and/or installing roofing on homes with dormers. It’s even better if you hire a roofing contractor that offers custom replacement windows, as it can save you the time and effort finding a separate window contractor for your dormers. If you are looking for such roofing contractors, look no further than Signature Exteriors. Call us today at (866) 244-8029. You can also fill out our contact form to schedule a free quote. We serve many areas in and near White Plains, NY and Fairfield, CT.
« Hip Roof Vs. Gable Roof	» Blue-Green Algae: Should You Be Worried?